ITF Master Gordon Jue, A-8-1005, 8th degree black belt who began his Taekwon-Do training in September 1979 under Grand Master Sabree Salleh, 9th Dan, in Santa Barbara, California. Currently he is training with ITF Grand Master Robert Wheatley, 9th Dan. Master Jue has attended numerous seminars, tournaments, and demonstration throughout North America. Some of his highlights have been training with General Choi Hong Hi, Founder of Taekwon-Do, and Grand Master C.E. Sereff, 9th Dan. He has competed in both 1994 Regional and National Championships, and trained at numerous World Taekwon-Do camps. Master Jue has placed 1st, 2nd, and 3rd in many pattern and sparring competitions. Master Jue newest project is to groom the next generation of Taekwon-Do students for national and international competition. He is the coach and head instructor for Team Jue. 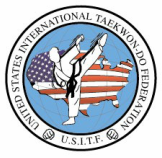 Master Jue is the US-ITF Vice President. He works in conjunction with President Robert Wheatley on all matters pertaining to the administration of the US-ITF, including membership and events coordination.